Nancy Ross (Elder) from Telford: Grace to Palmerton: Salem & Slatedale Salem. Effective Jan. 1. Lydia Munoz (Elder) from Drexel Hill: StartingPointPhilly to Telford: Grace. Effective Jan. 1. Barbara A. Boigegrain, General Secretary of the UMC's General Board of Pension and Health Benefits, has issued a response to letters of concern and questions she has received from bishops and other church leaders about the board's recent divestment from several banks involved in Israeli settlements in Palestine. UM Kairos Response, a U nited Methodist group that includes interfaith partners , advocates for divestment from firms that support illegal Jewish settlements in Palestinian territories. The group recently circulated a press release claiming that the Pensions Board, based in Glenview, Ill., has divested its funds from five Israeli banks for that reason, in response to its advocacy. The Eastern Pennsylvania Conference is seeking resourceful and committed persons who have vision, leadership skills and a passion to serve on Conference boards, committees and ministries for the 2016-2020 Quadrennium. The EPC Nominations Committee requests that you indicate your willingness to serve or nominate other possible leaders. More information and forms at www.epaumc.org/administration/nominations . The deadline for submissions is Feb. 15. The Eastern PA Conference Nominations Committee is seeking gifted disciples who have a desire to provide servant leadership for the 2016-2020 quadrennium. If you want to serve and are eligible, or if you have someone else to recommend, the committee, led by Carol Black, wants to hear from you by Feb. 15. Nominations for service on conference boards, committees, commissions and teams will be received until Feb. 1 and voted on at the 2016 Annual Conference. All persons who want to serve or recommend someone for service must submit an online Leadership and Service Interest Form or contact the Nominations Committee directly by Feb. 15. All potential nominees will be contacted before making any commitment to serve. Learn more and download the Brochure and mail-in form, "Ways to Serve. " Also see the Descriptions of Conference Committees & Agencies . The Shamokin Area Mission ConneXion invites Christ Servant Ministers and Local Church Servants (and their pastors) from other Mission ConneXions to come "meet and mingle," discover what we have in common, celebrate our ministries and share ideas together Feb. 7, 1 PM, at Ash Grove UMC, 16 Lilac Rd. (just off Rt. 61), Paxinos. If you plan to attend contact Patty Korbich at 570 672-1031570 672-1031. Are you interested or feel called to create a new worship service for new people? Do you want to know what goes into a successful new worship launch? Come learn at the Basic Training for Worship Planters, Feb. 12, from 4:30 to 9 PM, and Feb. 13, from 8:30 AM to 5 PM, at Boehm's UMC, 13 W Boehm's Road, Willow Street. This two-day training led by church planting coaches Jim and Kim Griffith will teach about identifying people, gathering them together, and planning compelling worship services that move people from guest to committed disciple. Open to teams and individuals. Costs, schedule, and registration are online at www.boehmsumc.org/Training. This event is co-sponsored by the Eastern PA Conference, the Southwest District, and Boehm's UMC. Once again, Hopewell UMC is offering a new Bible study curriculum produced for Lent and available to all Eastern PA churches free of charge. Ponderings of the Heart: A Mother's Reflections features seven Elders from the Southeast District. Each session takes participants through a New Testament scene in which Mary, the mother of Jesus, is present, and invites them to consider how Mary's example of discipleship has meaning for our lives today. The study is designed to begin after Ash Wednesday and conclude in the week following Easter. March is National Women's History Month and March 10 is National Women & Girl's HIV/AIDS Awareness Day. The H.U.B. of Hope, a multi-faith HIV/AIDS Ministry affiliated with the Eastern PA Conference, will convene its 5th Annual Sistas Tea about HIV for women and girls over age 14 on Saturday, March 12, from 2 to 4 PM, at Milestone Events, 600 E. Market Street in West Chester. The program will feature guest speakers, table decorations and prizes, music and dance. Free rapid HIV Testing will be offered from 1 to 3:30 PM by the Chester County Health Department. Tickets ($8.75 per person or $70 for a table of 8) are available from the UM Church of the Open Door, 210 S. Broad Street, Kennett Square, PA 19348; Attn: Rev. Dr. Deborah Tanksley-Brown. See and share the event flyer. Jan. 25 or 26: Lifetree Cafe Orientation/Training: Part 2 (6:30-8 PM). Eastern PA Conference Office. A new orientation/training series on how to organize a Lifetree Cafe (for churches, church clusters or mission connexions). Jan. 31: BMCR Meeting (Black Methodists for Church Renewal). 3-5 PM at St. Daniels UMC in Chester. Two Changing Racism Training Events will be held in 2016, April 1 - 3 and Oct. 28-30, both at the new location, the Daylesford Abbey in Paoli. Register online . The cost is $300. 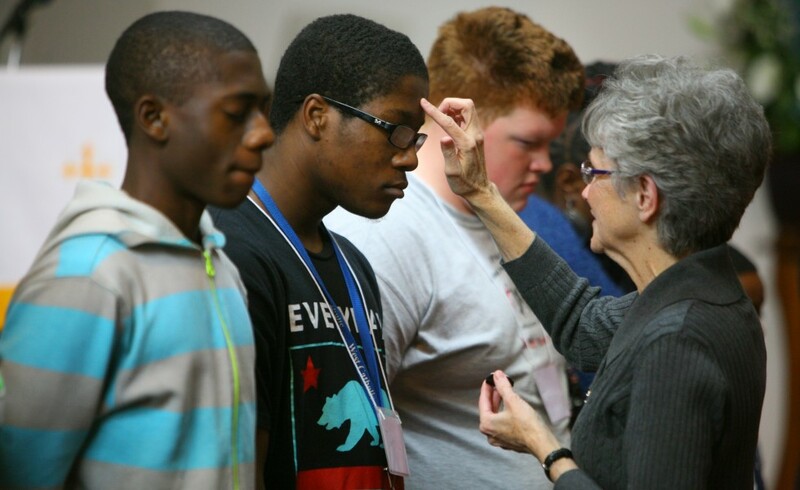 Two great opportunities for introducing young people to ministry careers are available through the Eastern PA Conference Cabinet and Board of Ordained Ministry. The next retreat will be held April 16, 2016, 10 AM to 4:30 PM, at Cedarville UMC, 1092 Laurelwood Road, Pottstown. Registration begins in January. The event is for youth in grades 9-12. Congregations and college students can mutually benefit from this program next summer. Interns who sense a call to serve God through ministry and want some experience can partner with pastors in serving churches and communities. The church provides half the salary and housing if needed, and the Board of Ordained Ministry provides the other half for a total intern salary of $3000. Applications are due by May 1, 2016. For more information call Pastor Matt Heckman at 717-273-0525 or Pastor Rob Timlin at 717-665-3400. Tell your college students while they are home for Christmas about being a VIP in the Vocational Intern Program. The Fellowship of Associate Members and Local Pastors of the Eastern PA and Peninsula-Delaware conferences will retreat together April 24-26, 2016, at Black Rock Retreat Center, 1345 Kirkwood Pike, Quarryville, PA. Associate Members, Local Pastors, Student Pastors and Certified Lay Ministers are all invited to attend and may earn 2.0 CEUs. Online Registration is open now. For more information contact Mark Beiderman at 610-585-0575. Download the brochure, which contains a registration form.